Connections. A Roon installation on a Mac or PC might appear to be a single application but it isn’t. It comprises three separate (but connected) components: core, client and endpoint. The core handles the library and sends digital audio data to the endpoint, usually a direct-connected DAC. The client interfaces between the two. With only a single machine running Roon on a home network, all three behave as one but add the Android remote app – available for selected tablets – and client control of core and endpoints is outsourced. The real power of Roon is then unleashed: it’s networkable. Don’t own an Android tablet? 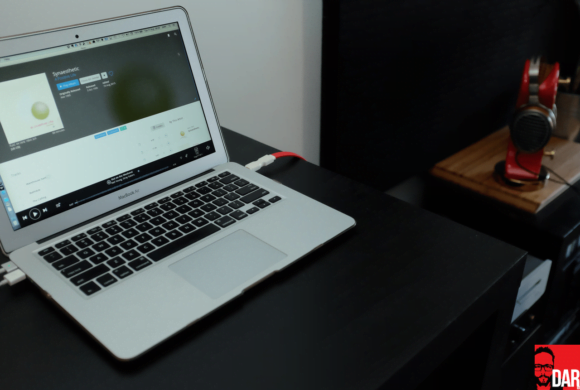 Install Roon on a second Mac or PC for the same level of client (remote) control whilst simultaneously exposing the new node’s own endpoints. Now the secondary machine’s client can instruct the primary machine’s core to send digital audio to an endpoint on the primary machine OR an endpoint on the secondary machine. Imagine you’re the manager (client) of Frankie’s pizza joint. There’s no home delivery so customers must eat-in. You oversee pizza preparation in the restaurant’s kitchen (core) before each one is delivered to the restaurant’s tables (endpoints). Easy. Now imagine your buddy is the manager over at Frankie’s second restaurant across town – it’s called Tony’s. You can still oversee what goes on in Frankie’s kitchen but why would you when you can get your manager (client) pal at Tony’s to do it for you, leaving you to put your feet up instead? The manager at Tony’s now remotely oversees the pizza making taking place at Frankie’s but he can choose where those pizzas end up: a) at tables (endpoints) in Frankie’s restaurant OR b) at tables (endpoints) at Tony’s restaurant instead (at which point Frankie’s customers go hungry). The exceptions here are Private Zones: DACs attached to remote controlling (client) hardware are available to that device only. This keeps prankster housemates or kids from using a second remote control to send audio to your device unannounced. Back in the pizza game, the prankster manager of Vinnie’s isn’t permitted to send pizza from Frankie’s to Tony’s, just because it amuses him. A restaurant manager remote-controlling pizza making elsewhere can only route that pizza back to his own restaurant or it stays put. Similarly, Tony’s manager can’t order pizza made in his own kitchen and have it sent to tables at Frankie’s and/or Vinnie’s. They each must request it from Tony’s first. If that’s not clear, allow me to exemplify using my lounge room setup. A brand-spanking new Microsoft Surface Pro 3 (i3, 64Gb) started as Roon team leader in the main rig where it interfaced ASIO-style with the Chord Hugo TT’s USB HD port. 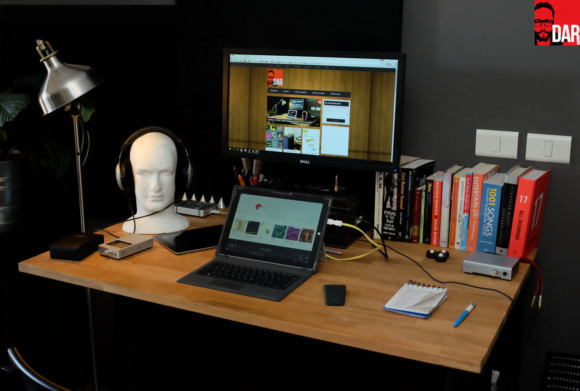 Even over wi-fi, the Windows Roon core indexed a router-connected hard-drive of ~60K FLAC files in under an hour, the Surface Pro’s cooling fan spinning down after index completion, never to return. Deep, post-ingestion analysis of files for proper gapless playback and (optional) volume normalisation takes considerably longer. At 1500 tracks per day my library wouldn’t see full scrutiny until several days later! Not a deal-breaker but worth noting. 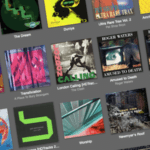 Earning Roon’s US$147 entry-fee is its meta-data provision, a layer of artist biographies, reviews, cover art and, in some cases, track and album information glad-wraps each album. With my large-ish library, some imperfections were laid bare. Every song in my FLAC library is exquisitely tagged with artist, album, year, track number and track title info. And I mean every song – yup, I’m that guy. 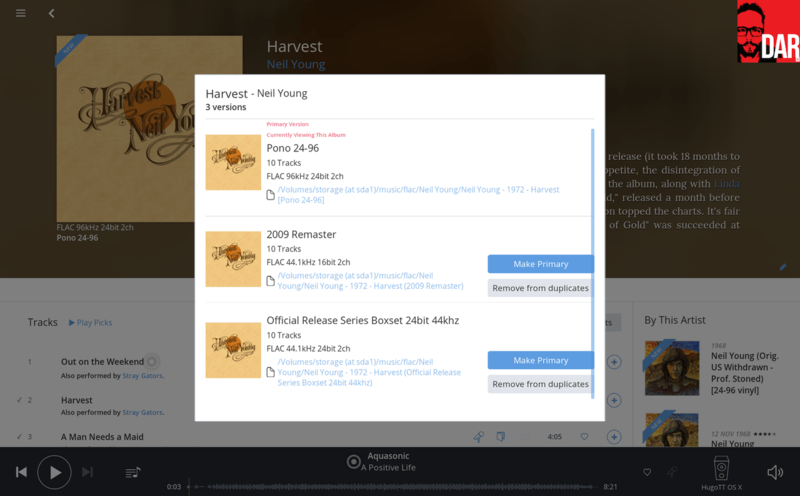 I add bracketed additional information to the album title field to separate multiple versions. e.g. ‘OK Computer’ and ‘OK Computer [16-44 vinyl rip]. Roon sees this and prioritises one version over the others; manual user intervention is required to specify an alternative preference. This was covered in Part 1b. More mildy annoying is when Roon attempts to guess album meta-data when it isn’t required. That’d be forgivable if it didn’t make mistakes…but on very rare occasions it does. For example, FSOL’s Lifeforms album – a double CD of some 20 cuts – was oddly mistaken for the 7-track EP of a similar name. Having to revert to ‘original file data’ is possible but it’s a non-intuitive, multi-click process. I look forward to a single-click universal override that tells Roon to prioritise embedded tag data. It’s in the works apparently. However, nothing is more in the works at time of writing than the iOS iPad remote client, demand for which is understandably strong. July’s provisional release was pushed back (and back again) with promises of a home stretch that looks to have taken on a marathon-like quality of of its own. Some users are happy to play the waiting game. Others are not. Here we see the product development conundrum in full effect: does Roon Labs inform their userbase of the iPad remote’s intended timeline and risk testing community patience when (not if!) the schedule slips or does frustrate the same userbase by playing it tight-lipped? Ask Schiit Audio’s Jason Stoddard who no longer announces new product until it is boxed and ready to ship. “The iOS [remote app] is in alpha and is being released with our imminent 1.1 update. Any minute, dude…”, said Roon co-founder Enno Vandermeer via email. The interim measure for iPad users is Splashtop: an iOS remote desktop app for OS X which I find to be almost as seamless as a native Roon app. It remains eminently more usable than Roon’s Android app running on anything less than a 9” screen. The buttons are too small for all but the most committed hunt-and-peckers when running on a Google Nexus 7. My use of wifi for library scanning was simply an investigation into ‘what if?’. Wired connections not only offer greater speed and stability but superior sound quality to boot. Such conclusions come from five years of on/off experimentation at DAR HQ and I’ve attended sufficient (three) AudioQuest demos to know that Ethernet streaming sounds superior to over-the-air data transmission into an Apple TV. Introducing Apple’s USB Ethernet adaptor into service on the Surface Pro 3 by way of Cupertino’s own Bootcamp drivers confirmed the same. The ‘wireless vs. wired’ delta is far from wide but worth exploiting by those with high/er-end rigs. The Surface Pro’s touch screen really comes into it own here. In fact, Roon was the sole reason for buying it, my first Windows PC after eight years in a Mac bubble. Roon’s interface is so thoughtfully laid out that it demands to be touched; as one might expect from a software team who made the (Meridian) Sooloos’ system. Those not touching Roon are missing out on a significant chunk of what makes it such a pleasurable user experience. Thing is, with Roon in tow, a Sooloos clone can be reanimated for considerably less cash. Sooloos co-founder turned Roon Labs CTO Danny Dulai has stipulated minimum hardware requirements here but a more-than-capable touchscreen PC can now be had for as little as ~US$500. 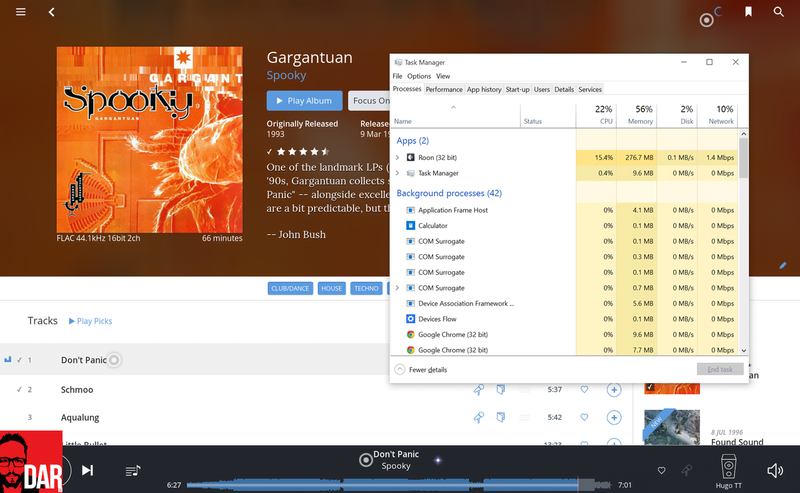 Roon Labs recommends 4Gb of RAM which, on the Surface Pro 3, proved sufficient to deal a multi-thousand album collection. Moreover, buying an off-the-shelf touchscreen device sidesteps the possibility of wasted trial and error time in matching a freshly purchased external screen to an existing computer. If the display manufacturer comes up short on smooth, multi-touch drivers – impossible to know with any certainty before hooking things up – third party software doesn’t come cheap. Moreover, without Windows 8.1 or 10 the on-screen keyboard will be MIA. Roon Labs’ own recommendations can be seen here. At T.H.E. 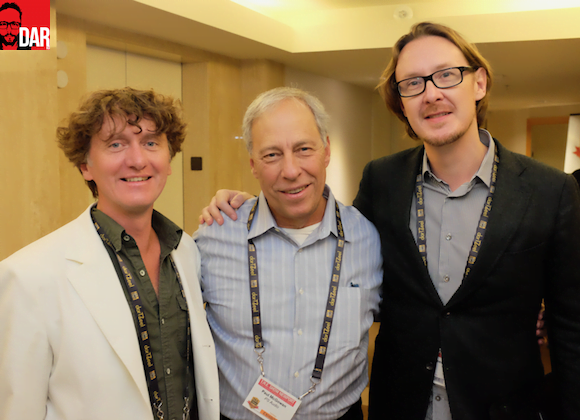 Show Newport ’15: Rob Darling, Paul McGowan (PS Audio) and Enno Vandermeer. On the opposite side of my lounge room, a desk bound Macbook Air running the OS X version of Roon. Did I want to use the Macbook’s local library or that of the aforedescribed Windows PC? Going with the latter saves getting off the desk stool and taking the five steps to browse and play music on the Surface Pro 3. 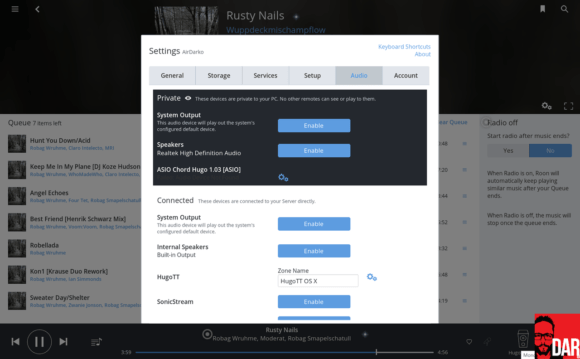 Access to the remote Roon’s options is also possible: add/remove storage locations or select an alternative audio output – useful for pitting non-ASIO against ASIO routing. Audibly separating the two on the Chord Hugo TT proved to be a mission impossible. Music routed back to the remote-controlling Mac’s endpoint DACs calls the RoonSpeakers network streaming protocol into service. Think of as a bit-perfect, hi-res-capable Airplay. PCM up to 32bit/382kHz and DSD256 (over DoP) are covered. Alternatively, opting for a library indexed by the Macbook Air permits streaming to locally attached DACs only, as per the pizza restaurant analogy detailed above. Those wanting to use Roon to simply throw audio at any OS X or Windows networked endpoint must wait for the forthcoming RoonSpeakers application. Later realising that I wanted to use the Surface Pro as a touchscreen remote on the couch as well as (a word-processor) on my desk, the Macbook Air was promoted to main system Roon duties. Its new role would be core for which an (equally zippy) fresh library indexing was required. With the Microsoft tablet PC then demoted to desk/couch duties meant user-ascribable endpoint labels would come into their own. Labels that would prove doubly useful with both Chord Hugo and Hugo TT in the house: the Macbook Air’s Roon install played host to a single endpoint (‘Hugo TT OS X’) whilst the Windowing Roon would enjoy two (‘Hugo’ and ‘Hugo ASIO’). With Apple hardware firing into main rig’s decoder meant a comparison with Audirvana+ was now possible. Some audiophiles sweat SQ differences wrought by software players and it’s my job to split those hairs when necessary. Between Roon and Audirvana+ v2.2, the latter takes it by a nose when jockeying the Chord Hugo TT: there’s a marginally more wholesome sound on offer that’s also a mite richer in tonality. The smoother sounding PS Audio DirectStream levels this playing field by spooning in a little yoghurt to soothe some of Roon’s spicier transient moments, thus reminding us that differences here are impossibly small. Like many things in hi-fi, you probably wouldn’t bet the farm on everyone hearing them. For how long this teeny-tiny SQ separation exists ultimately falls to Roon Labs software engineers. In all other respects – interface, UX, audio routing, flexibility, Tidal integration and especially music re-discovery – Roon aces its French rival, about which I enthused in Part 1 of this coverage. Taking a step back, digital audio played back from a Roon endpoint on a Mac or PC introduces a qualitative glass ceiling. Even with USB filters, converters and re-clockers applied, consumer-grade computers can’t compete with dedicated streamers like the AURALiC Aries or Aurender N100H (which also offer Tidal integration). These hardware solutions prioritise the lowering of electrical noise and jitter from the outset rather than asking the user to apply fixes after the fact. Here Roon Labs’ are set to play their trump card. Select streaming device manufacturers will be adding RoonSpeakers protocol-compatibility to their hardware: PS Audio will likely the first cab off the rank with the MKII Network Bridge that slides into the back of DirectStream DAC. Eventually Roon endpoints will seen in devices from AURALiC, dCS and Meridian (among others). This implication being that the hardware running the Roon library (core) can be stored out of sight whilst a tablet instructs it to dispatch digital audio to an endpoint found on the PS Audio Network Bridge or AURALiC Aries. That’s the Roon river – let it flow. I’d like to see the look on a non-audiogeek’s face after reading this. Then I’d try to convince him that all this new technology makes listening to music so much easier. Hence the pizza analogy; twas the best I could do in the circumstances. Well, this is understanding how it all works and the various configurations. The real way is to hand them a tablet or touchscreen PC running Roon (with Tidal subscription active) and tell them to put on some music they like. Once they fall down that rabbit hole of enjoyment and discovery, they can be bothered to install it on their various computers. It needn’t be nearly as complex as all of the options John laid out. Agreed. One’s lightbulb is better lit with tablet or touchscreen. This piece ended up a little more technical than anticipated because of Roon’s bountiful streaming routing options. John, the last diagram you had is what I’d like to do with Roon. Just to be clear, does this mean you can have a Roon core installed on a NAS (say a QNAP), use a tablet for control, going to an endpoint like an Aries streamer? Yes – that’s exactly what it means (as also mentioned in the final coupla paras). Good analogy. Think of how much easier your job would have been 20 years ago. Then again there wouldn’t have been as much to write about. The best way for people to understand all this lingo is to actually own the gear, software, etc and fool around with it for a while. To do that you have to either be rich or be in the business. I tried Roon and, while impressive, I felt they’d need to iron out quite a few niggles before I plopped down the 147 smakeroonies. I too didn’t like the way it messed with my 2500 meticulously tagged albums (I’m that other guy). Lyrics, cover art and extensive metadata aren’t that important to me so I’ll be sticking with LMS for a while. BTW – I’ve got high hopes for Sonore uRendu as a Squeezebox replacement. From what I understand it works with Roon, Squeezelite, good old LMS and should fall within my working class budget. Yeah, the Roon tag data overlay isn’t yet perfect but I did notice last night how well it handles compilations, specifically the Fabric DJ mix series. For me, right now, that offsets any mistakes it might make with misidentification. I got a word from OPPO’s tech support that they plan to release a new version of firmware for their existing players, which will support Tidal integration. 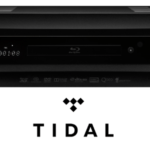 Now I can have Tidal on my BDP-105. When? This week. Not that I can’t wait, but I’m glad I will be able to combine physical disk player with hi-res music files and now with CD-quality streaming. If I only could let go of the older technology and the older notion of owning the music instead of renting it, perhaps I would turn to Roon, but streaming alone is not an option for me, so, no matter how good Roon is at streaming and how nice its interface is, it is not a solution I would think of going to, especially considering Roon’s less than stellar sound quality. This won’t be cheap, I’m sure. But it could be a serious competitor to some of those very high priced solutions. Nice find Danny – thanks. I work (and sleep) in a large with multiple Macbook Pros. My Macbook 15 (acting as core) resides on my desk, as well as travelling, and has it’s own desktop AE system. It’s connected to drives and my main editing screen so for various reasons it would be best to remain where it is – or come of the desk to work wirelessly, and go on jobs. I have 2 other MBP 13’s – one normally running TIDAL that is connected to main hi-fi set up and AV system through a USB DAC. The other is floating which is probably irrelevant. They are both set up as remotes with Roon. While I might update an IPAD to have a remote, (I will forgoe using Apple TV), my ultimate aim would be to be able to control the music on the main hi-fi (via MBP13) from my desk on the core computer (MBP15) where I spend most of my time working/editing. Am I just simply trying to throw OS X music at another endpoint from the core – and waiting on the Roonspeakers to do this? Hey Jonny. As far as I know, you can’t use Computer A to tell Computer B to send digital audio to Computer C. It *might* be different with RoonSpeakers but as yet I don’t know. I’m meeting with the Roon guys at RMAF next weekend so will know more after that!